Our May 2016 Featured Blogger is And Then She Said by Imad Said. Iman is a working mum of two, a wife and organising junkie. She blogs over at And then she said, where she shares the beautiful, chaotic, ever-changing life journey that she’s on through her parenting experiences, organising and creative projects, great finds, and lots of family friendly recipes. Read on to find out more about her blog! I started blogging in December 2015. I set up And then she said to share my views and experiences, my projects and great finds and my knowledge on certain things (although I’d never claim to know it all!). I can be quite the perfectionist and setting up the blog was something I kept putting off because I wanted to figure out the how-to’s of it all, find just the right colour scheme and graphics, set up all my social media accounts and all that jazz. I purchased the domain years ago and work, a baby, more work, then another baby took up all my time and I kept putting it off. Meanwhile, I’d read other blogs and think about all the things that I really wanted to share with like-minded people and about all the content that I wish was out there that I’d love to read and benefit from. As a Muslim woman, I also want to counter negative perceptions of Islam and Muslim women and how we are perceived by the public and I hope this space helps to foster a better understanding of what we’re all about. I decided that the blog had to go live by the end of 2015 and I’m thrilled to have my little space on the internet now. 2. What made you decide what you want to blog about? For as long as I can remember, I have thought of writing as a release and paper (or a computer screen in this case) as being the place to go to express what you think, feel or just what you’d like to share with other people – whether informative, creative, critical or just for fun. Parenting is a huge part of my life, as is eating and organising and I wanted to be able to share with others things that worked for us, things we love, my reflections, and we often create things or upcycle things in our home so I have a little creative section that I intend to fill with posts on our projects. Yes, bloggers like Jen over at ‘I Heart Organizing’, Amnah from ‘Little Life of Mine’, and Saira from ‘Confessions of a Muslim Mommaholic’ are some examples. It’s exciting and busy! 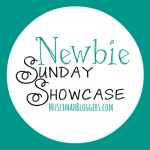 There’s a lot more to blogging that I originally thought and I’m enjoying being part of the community and meeting new people whether they are fellow bloggers over at the Muslimah Bloggers forum or my readers/followers. It’s a little scary to put yourself out there and I am careful of what I share when it comes to parenting or things about my children, but other than that I find it incredibly enjoyable and rewarding. A lot of my posts are about being a parent – from creating recipes to things for the kids or with the kids or organising their things etc, so I find that it works quite well. I will often have children scrambling all over my flat lays when I’m trying to photograph and that can be utter chaos but it’s part of the madness of having children! I will often write posts or make notes while I’m nursing or when they are asleep and find that working around their naps etc helps to get some free time to get things done. 6. What do you hope to gain from blogging? 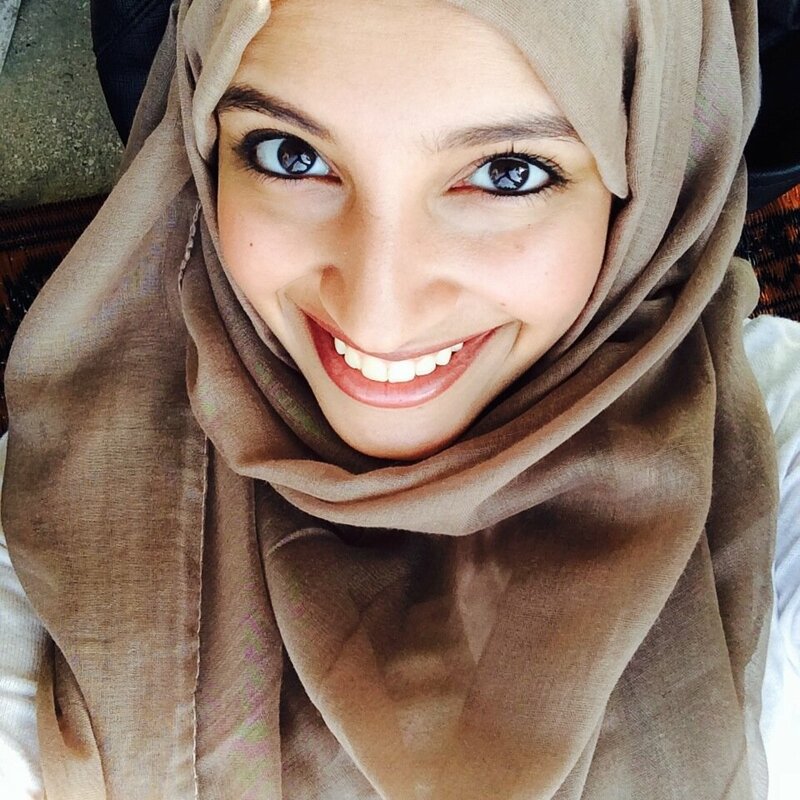 I’m hoping to meet new people, develop new relationships, benefit and educate others and also, as a Muslim woman, I want to counter negative perceptions of Islam and Muslim women and how we are perceived by the public and I hope that my blog helps to foster a better understanding of what we’re all about. 7. How do you motivate yourself to keep your blog up and running? I put a lot into it before it launched, from designing it to learning about WordPress and a little coding and photographing things. I wanted to get some ‘me’ time back after having two years dedicated to pregnancies, births, and work and I am determined to keep myself motivated to doing something that I’m passionate about and is just for me. 8. What’s the most challenging thing about parenting and blogging about it? Deciding what to share and what not to share. I think parenting can be so challenging at the best of times and often social media can either make parents feel inadequate and judged or empowered and motivated, and I consider very carefully how my posts come across and how effective they are as opposed to being ‘controversial’ for the sake of encouraging more traffic or ‘going viral’. I also don’t intend for blogging to take over to the extent that my parenting suffers so I do try to prioritise what needs prioritising – particularly when it comes to my children. 9. You say you’re an organizing junkie, tell us how you apply organization to your blog? I like having sections for everything, so you know where you need to go if you’d like to read posts within a certain category. As a new blog, I have a lot of content lined up for publishing so as that builds and there is more and more content, I intend to break the menus on the blog down into further categories, so it’s easier to navigate to where you want to go. I also like websites that don’t appear cluttered, so there is no advertising on the blog, or lots of widgets and things, just the things that are absolutely necessary so you are not overwhelmed with all sorts of things when you arrive. I also have a search bar, which I find really handy and intend to publish several free printables this year that will help my readers with their organising. 10. What’s the most interesting topic you like to write about on your blog: Parenting, Organizing, Creating, or Eating? Why? Parenting and organising are my favorites – they are things I do day in and day out (you can’t stop being a parent!) and I am constantly finding better ways to organise our home because we live in a small space, as do lots of other families in cities like London, and I’d love to share how to make the most of that space, on a budget. 11. How important do you think it is to find inspiration when you want to write? I think it’s important but not always necessary. Recipes, for instance, don’t require a lot of inspiration and I also think if you sit and wait for inspiration to strike, it will take a lot longer to get going. Start where you are and continue as you mean to go on and you will find your writing gets better and that it’s easier to churn out posts every time. 12. Have you had any opportunities arise as a result of blogging? Yes, I have. I am very selective about what goes on the blog, if it doesn’t absolutely fit with the blog and its purpose, those are not opportunities I will pursue. I don’t intend for my blog to come across as a series of paid advertorials. 13. Are you a full-time blogger or have another job as well? How do you tend to manage your blog in either case? I have two jobs, both of which are part-time, so it is very challenging, but I am finding a lot of benefit in having an editorial calendar and working really hard at sticking to it and scheduling posts in advance when I need to on particularly busy weeks. I most certainly intend to be blogging in five years I have lots of hopes and dreams for the blog and inshaAllah hope to spend the next few years making that a reality. Always renew your intention – think about why you started blogging in the first place. Don’t worry about posts and content to the point where blogging feels like a chore. Do it because you love it and not because you have to. Having said that, don’t rest on your laurels and expect readers to just be there waiting when you want to take long, extended breaks. Keep active on social media at the very least and join blogger forums where you can often get motivation and the little nudge we all need to get moving. There is also a plethora of information out there for bloggers, most of it free, so make use of it. Aim to read at least an article a week about SEO, growing your numbers, writing engaging content, taking photographs etc and you will be a much better blogger for it. You can do this! Want to connect with And Then She Said? You can find her on Facebook, Twitter, Instagram, and Pinterest.